NIKE has a 3D printed performance leather sports bag « Adafruit Industries – Makers, hackers, artists, designers and engineers! 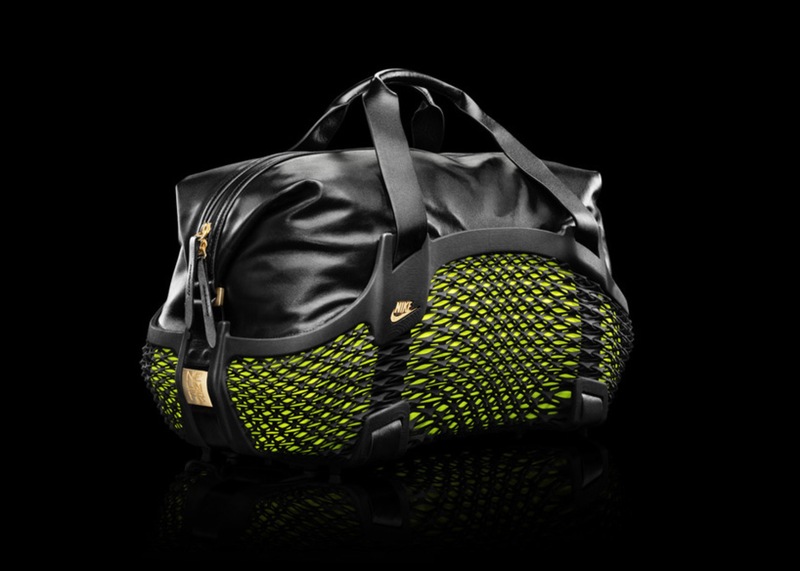 NIKE presents rebento duffel: a 3D printed performance leather sports bag. for brazil’s 2014 FIFA world cup, NIKE football launched the rebento duffel, the first 3D printed performance sports bag. 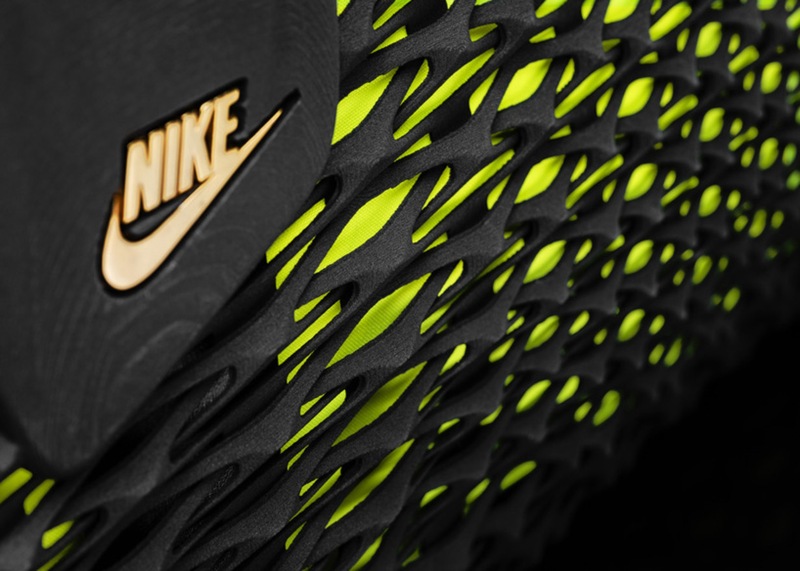 the carry-piece takes styling cues from the NIKE flyknit pattern of the magista and mercurial, where a laser-sintered nylon creates an intertwined weave. seamlessly fitting into the 3D printed base without the use of glue or adhesive, the premium leather upper and strap construction also gives the body a lightweight, yet durable structure that allows for flex. designed specifically for neymar jr., wayne rooney and cristiano ronaldo, the ‘rebento’ features custom gold hardware with the player’s name.